The Julia Country House is surrounded by delightful countryside. It is in a quiet location at the edge of the small village of Bürserberg. The village is in the Brandnertal Valley's walking and mountain biking area. This particularly attractive loft holiday home is on the second floor. It has an unusual building style and very tasteful furnishing. The home is 1030 metres above sea level. You can enjoy spectacular views of the surrounding valleys and mountains. The house has a large open live-in kitchen, a pleasant seating area with an open fireplace, two bedrooms and a delightful bathroom. There is plenty of space here. Children will have a wonderful time in the open meadows and the playground. The beauty of the mountain summer starts on your doorstep. Explore the many delightful walking routes and enjoy the superb natural beauty of the region. You'll wander past sparkling springs, over green Alpine meadows and along beautiful mountain paths. The wonderful aroma of Alpine herbs combines with breathtaking mountain views. You can enjoy golf, riding, a natural lake with a sandy beach and outdoor and indoor swimming pools. These and numerous other sports and leisure activities make the region a sporting paradise. 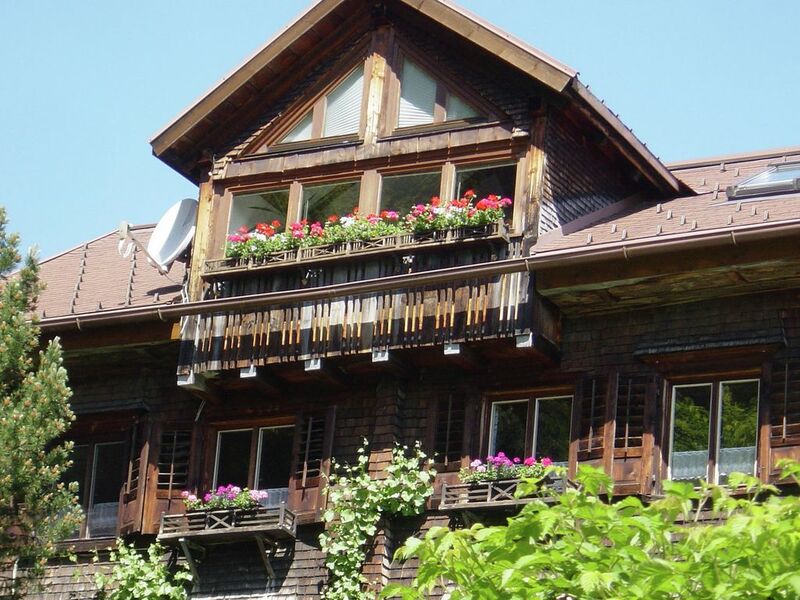 Relax in the Julia Country House and be enchanted by summer in the mountains. We had a lovely stay in this apartment from 5-12 Jnauary and the setting is truly beautiful. Amazing views from every window and especially nice to sit in the lounge looking across to the snow-capped mountains with the ever-changing clouds down below in the valley. The apartment is very nicely finished and very well equipped. The t.v is very nice but is mostly non-english speaking channels. Maybe a dvd player could be a good addition. Wolfgang was a very friendly and welcoming host and gave us whatever help we needed..
We did hear some sounds from people in rooms below our apartment, but this didn't worry us, at all and they and expect they could hear us too. There was always plenty of hot water and a nice shower. I was surprised to see several standard power sockets by the sink in the shower room, which seemed unusual and a little bit unsafe, perhaps. Overall, a lovely apartment with stunning views and perfect for a get away from it all holiday. Tastefully decorated and homely spacious apartment, very suitable for a not big family. The view from above the front is beautiful. Because Burserberg near a "crossroads" of the valley lies the house is very suitable for longer stays. In every valley is in fact something to do. The number of possible events is enormous. Immediately around the house for children, fun, because the farm offers many performance possibilities. Great house! Light, spacious and very nicely decorated. Everything is there that is needed. In short, a great house in a quiet area where many walks to be without the car. A beautiful and spacious apartment with all amenities; really Belvilla. The beds were pretty hard and we have lacked the crisp Austrian quilts! Very friendly owners. In the village has much to do, no restaurants, no supermarkets, you should really do this for a ride. Skiing is fun, but a bit outdated in terms of lifts. Nice restaurants on the slopes. Gondola to Brand is new and very nice.